Revolvr needs little introduction, especially with releases under his belt on Monstercat, Universal, CR2, Simplify etc. Known for his slamming bass music, original sounds and immaculate production skills, he is know sharing these secrets. All in Revolvr his signature style, made by the man himself. All these files are ready to be dragged and dropped into you projects and are 100% royalty free. 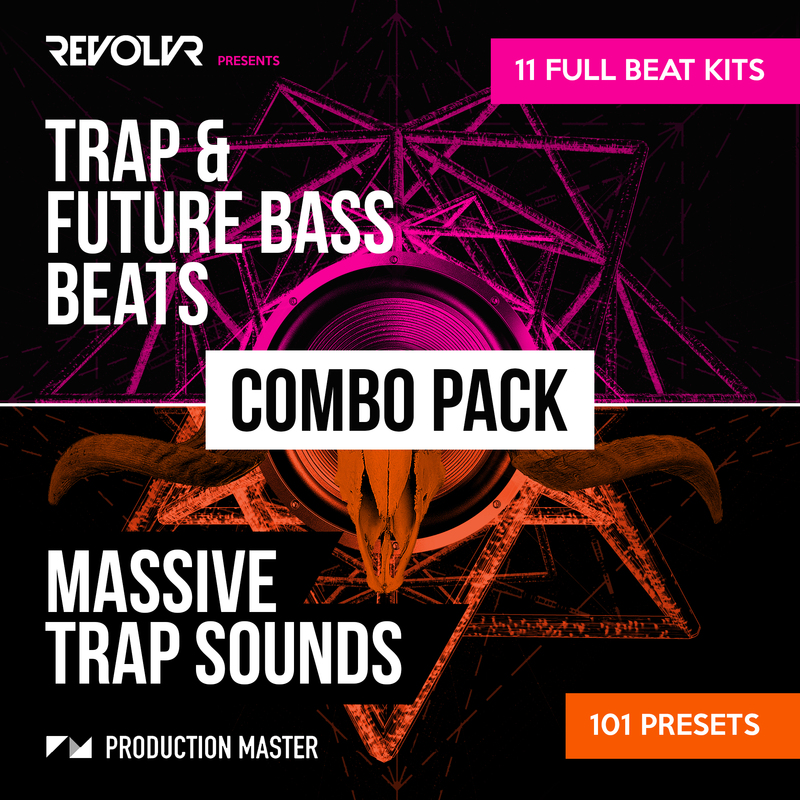 Make the next Trap or Future Bass hit with these beats! Inspired by: Revolvr, Apashe, Snails, NGTHMRE, Carnage, Jack U, Diplo, Brillz, Laxx, Yellow claw, flostradamus, heroes x villians, TroyBoi, Herobust, Slander, Flume, KRNE, Odesza, Wave Racer, Daktyl. These samples/presets were created by professional engineers, using the newest of available technologies developed in the synth and processor industry. All samples are perfectly processed (EQ, Compression, Saturation, Limiting, Stereo imaging) and recorded in the highest quality to ensure that our products are top of the line. Our packs are 100% royalty free, and you are free to use these samples/presets in your own productions. Just drag and drop these into your projects and watch your songs come alive!